Motivation gets you started – Movement keeps you going! Whether you’re completely deconditioned, an athlete looking to push past a plateau, or anywhere in between, SOL Performance Coaches and Training staff will help you to reach your fitness goals. With expertise in movement science that far surpasses that of most gym-based programs, SOL’s Performance Coaches and Trainers deliver exceptional, individualized training through Private and Small Group Sessions in a supportive, safe environment that makes training efficient, effective and fun! At SOL Performance, we do training differently. We apply whole-body, interconnected strategies to correct and improve how you move in order to help your body feel better and be stronger. Whatever your level, ability or sport, if you have the passion, we’ve got the experience and the program to help you move beyond your own perceived limitations. Through SOL’s comprehensive continuum of care “From Rehab To Performance” our Performance Coaches and Trainers work closely with our Doctors of Physical Therapy to offer advanced clinics specifically designed for athletes of all ages and abilities in sports such as Golf, Baseball, Swimming, Running and Skiing! SOL Performance Small Group Sessions provide a fitness experience that is the perfect blend of personal training and group exercise. 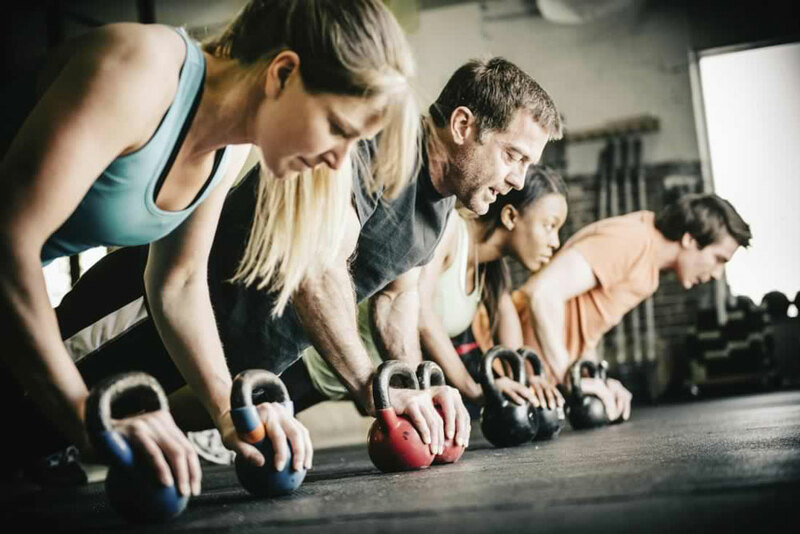 With group sizes limited to 8, you get the camaraderie and friendly competition you would normally experience in a group exercise class – without getting lost in a huge crowd. When I was in PT and found out my PT Aide was also a certified Trainer, I knew I’d found the right person to make sure I didn’t re-injure myself but I had no idea that it would be a long-term addiction. After nearly 9 months working with him, I’ve discovered a real partner to help me build my strength and ensure that I address my intrinsic physical issues for my current and future health. The last 9 months have been nothing short of miraculous! I came to SOL with the goal of not only being able to run but to increase speed and endurance. Working out with my SOL trainer revealed many of the weaknesses that had developed as a result of a car accident and subsequent immobility. He tailored the workouts to accommodate my limitations, motivated me to reach workout goals, and gave constant encouragement! His workouts for me were intentional and purposeful and improved my strength, speed, flexibility and endurance! At age 78, I’m in better shape than in years. My fitness goals: develop core strength after several years of bad back pain. A very successful operation for stenosis fixed the pain. It was time to up my game. What I accomplished: eight sessions with my performance trainer, followed six months later with another single session have set me on a good path to recovery. I think that at age 78 I’m now in better shape that I’ve been in years. The key is follow-through, of course. I do the homework, five days a week. I am profoundly grateful for what I have learned at SOL. When you put your training into the hands of a SOL Performance Trainer, you can be confident knowing you’re being guided back to the activities you love by a Coach who wants you to grow stronger and healthier as safely as possible. The AlterG is a revolutionary approach to rehabilitation and training. AlterG’s unique unweighting technology reduces the impact of walking or running, giving post-operative and post-injury patients the opportunity to rehabilitate and resume training earlier than ever before. Helping the body to heal itself, massage therapy services at SOL help to reverse the debilitating effects of modern-day life.